Our Harvest Festival was held on Sunday 2nd October 2016 and was enjoyed by all who attended the celebrations over the weekend. 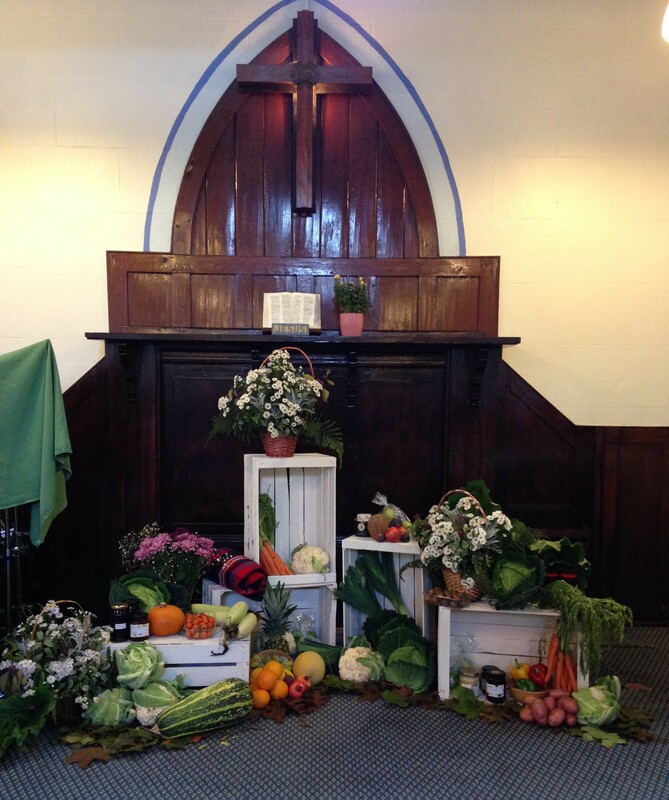 The Harvest display was arranged by Becky Shears and helpers, we are very grateful to all who brought a wonderful variety of produce giving a physical picture of God’s bounteous provisions and added visual meaning to our worship and thankfulness during our services. We had a family service in the morning led by Rev Janice Morgan in which several members of the congregation took part with the prayers, poems and readings. The afternoon service was led by Rev Mike Shrubsole and this was followed by a tasty harvest tea prepared by members of the church. The harvest appeal envelopes for “All We Can” were distributed and £100.00 has been received so far. On Monday night we met at 7pm for a short service of thanksgiving led by Mr Colin Besant which was followed by our traditional auction of produce. Thank you to all who supported us in spirit as well as generosity, with the bidding being enthusiastic and good natured. It really was a time of fun and fellowship. £235.40 was raised which will support the maintenance of the church building. Facilities available for hire for meetings and special occasions.